Dr. Bruce Byers is a biodiversity conservation and natural resources management specialist with more than 30 years of professional experience in more than 40 countries. Bruce graduated from the interdisciplinary Human Biology Program at Stanford University, and holds Master’s and Ph.D. degrees in ecology and evolutionary biology from the University of Colorado, Boulder. After teaching and conducting research at the University of Colorado and directing an interdisciplinary Environmental Studies Program at the Naropa Institute in Boulder, he moved to Washington, DC, in 1992 to further develop his international, interdisciplinary, and applied science interests. 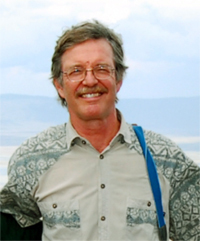 As an American Association for the Advancement of Science (AAAS) Fellow in the USAID Office of Environment and Natural Resources, Bruce served as a technical advisor on biodiversity and natural resource management issues, with a focus on sub-Saharan Africa. Bruce Byers Consulting was founded in 1994, and began offering assistance to a range of clients in the U.S. and abroad. In 1997 Bruce honed his interests in applied social sciences and human ecology with a one-year Fulbright Scholarship at the University of Zimbabwe’s Centre for Applied Social Sciences, where he conducted a study of community-based conservation and sacred forests. From 2004 to 2010 Bruce worked for ARD, Inc., a consulting firm specializing in USAID contracts, temporarily giving up his domestic conservation and NRM work. In September, 2010, he re-launched Bruce Byers Consulting to continue serving clients around the world.